Hi! I'm glad you found your way to my profile. Let me introduce myself. 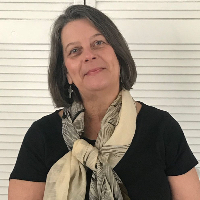 I'm Carol Costner, a licensed professional counselor and national certified counselor with over 14 years of experience working with people who have shared with me a broad range of problems. I always knew I wanted to work in the helping profession and pursued that out of high school by attending college and graduating with a Bachelor's degree in nursing. After a while, I returned to school and graduated with a Master's degree in Community Counseling earning both my counseling license and my national certification as a counselor. But let me share with you my most important credentials. I am a Christian, saved by Grace and living life with a goal to honor my values and beliefs by honoring the God who made me. Christians are not puppets, not identical and not always right. If you are a student of the Bible then you know that Peter was a hot-head, Paul as "Saul" was a murderer, Jacob was a cheater, Martha was a worrier, Thomas was a doubter, Sarah was impatient, David had an affair. All have fallen short. That my friend makes us all very human. My faith gives me hope. It does not make me perfect. Perfect people don't exist and difficulties, stresses, and fears are all very real, at times dramatically affecting our quality of life. As a counselor, my goal is to assist others in finding real solutions to real problems. My counseling style is client-centered, which simply means that you are the best expert on yourself. I will depend on you to share with me your own self assessment as a place to begin. I use a combination of solution-focused therapy, mindfulness, cognitive behavioral and narrative therapy techniques. I employ a whole-person integrated approach to wellness. Not everyone will fit into one method of therapy so I tailor my efforts toward what fits you best. I believe that we all have within us an internal compass--the ability to find our way. I would love the opportunity to assist you in accessing that compass and finding your way through whatever you are currently facing. If you're looking for change and relief from distressing emotions, I would be delighted to join with you in a journey toward a more abundant life. Carol does an awesome job of coupling complete professionalism with acceptance, openness and honesty. She is comfortable and supportive. I look forward to each session and I’m continually seeing progress from her guidance. Carol has been a God-send! Her insight, wisdom, professionalism, and Godly counsel have spurred me to change. I appreciate the Faithful Counseling platform for connecting me with her as well as making it so convenient and easy to get the help I have needed. Carol is compassionate and has been supportive in listening to the issues I am dealing with. She has been methodically assessing my situation and we are now working working on my specific goal. Carol is really nice to have. Carol has been great with me so far as I am trying to ease in. She hasn't been overbearing but also has been involved enough. Would you like to write a review for Carol Costner? We'd appreciate if you can spend a couple of minutes to write a short review for Carol Costner (MS, LPC, NCC). This review would be shared with Carol Costner. It may also be posted in our website or in Carol Costner's profile but it would be anonymous and your identity would be kept completely confidential.